Tamworth in Staffordshire is located northeast of Birmingham and has a population of around 77,000 people, with many historic buildings including a castle. 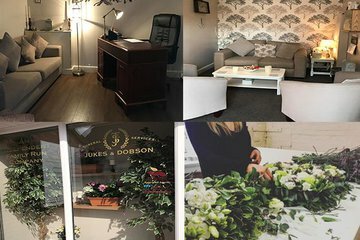 There are around seven funeral directors in Tamworth itself, but many more are also available in neighbouring towns such as Sutton Coldfield and Lichfield. 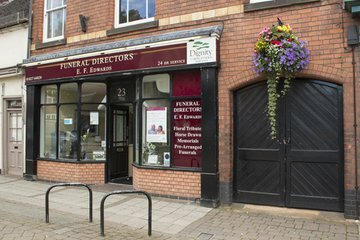 There are 43 funeral directors listed within a ten-mile radius of Tamworth. There are Christian churches of various denominations in and around Tamworth, with several mosques and Gurdwaras in Birmingham 20 miles away. There are four cemeteries open for new burials and the interment of ashes to consider when choosing a resting place for your loved one in Tamworth. Sutton Coldfield Crematorium serves Tamworth residents and is set in 10 acres of landscaped gardens, with its own small lake and waterfall and offering a variety of memorials. Funeral directors in Tamworth can assist in planning a funeral service according to your wishes and help make arrangements for the burial or cremation of your loved one. Search for local Tamworth funeral directors now to see funeral homes near you. You can filter search results by best rated, most reviewed or nearest to you. Click on a funeral director’s listing to see their profile page, where you can read independent customer reviews, search for recent obituaries, and learn more about the funeral services they can offer to you. The team at the Co-Op in Tamworth were kind, compassionate and went above and beyond to make sure we had a fantastic service for my husband. I cannot thank them enough for the support they gave us every step of the way. They made a very hard situation as easy as it could be and I can’t thank Cheryl and Anne enough. The staff were extremely professional and polite. 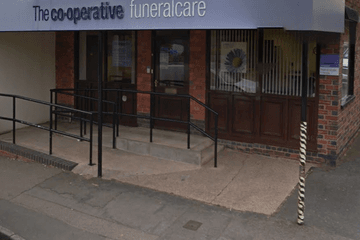 I would definitely suggest The Co-op Funeral Service to friends and family. Thanks to everyone in the office and funeral staff for their compassion and kindness on what was a difficult time. Bye.